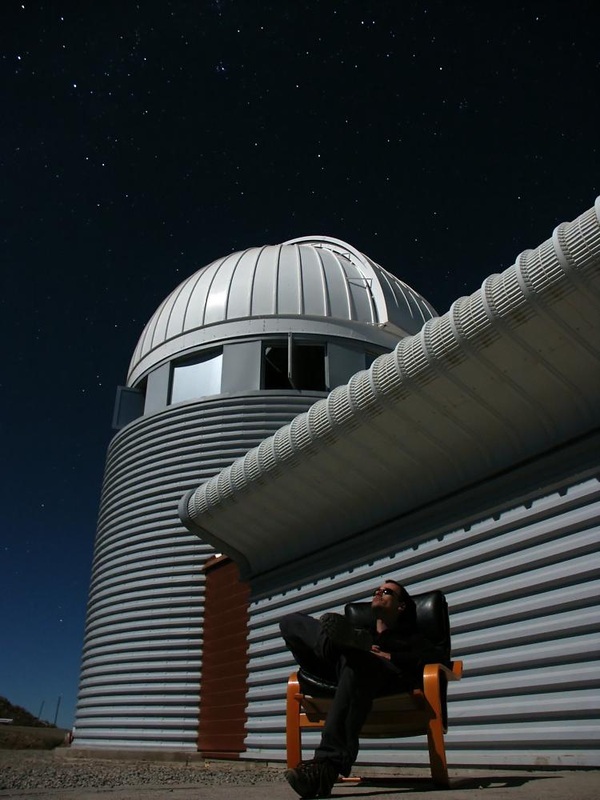 The developer of Mobile Observatory, Wolfgang Zima, has worked quite some time as a professional astronomer before starting as a freelance software developer. After finishing his PhD in Astronomy at the University of Vienna, Austria, he moved to Leuven, Belgium, to work as post-doctoral researcher at the Institute for Astronomy at the University of Leuven for five years. There, he specialized in scientific software development and created and managed two extended software packages: a GUI tool for scientists for analysing spectra of pulsating stars, and a CCD image simulator for a space mission dedicated to the search of exo-planets. After his Nokia phone broke (during mountain biking) in late 2010, he bought his first Android phone and was surprised to see that at that time, no high-quality software for amateur astronomers was available on that platform. So, he started developing Mobile Observatory, which was first released in January 2011, and has since become one of the leading astronomy apps for Android. Since 2012 he lives in Freiburg, Germany, and now works as freelance software developer with a focus on astronomical Android apps. This beautiful Live Wallpaper displays our Solar System in real time as seen from above. It displays the *actual* positions of the Sun, all planets, selected asteroids and comets by using their orbital parameters. Watch spectacular comets visit the inner Solar System, enjoy Coronal Mass Ejections erupt from the Sun regularly, use the time-lapse function to travel to the future of the Solar System, or just watch the planets revolve around the Sun. Amazing animated Live 3D Wallpaper showing realistic views of the Sun, planets (+Pluto), asteroids, and moons of our Solar System with a real Milky Way background. Watch the Sun evolve towards a Red Giant and then turn into a White Dwarf with an expanding beautiful Planetary Nebula, use the orientation sensors to look around, enjoy splendid views at Saturn's rings, or fly through the Solar System. The ideal Live Wallpaper for tablets!